Thundering Waterfalls, unique wildlife encounters and a city like no other! A Private 13 day Southern Africa safari with International and domestic airfares, accommodation, transfers, guides, meals & more! Smell the musky aroma of the African bushveld and feel the mist glisten your eyelashes in Victoria Falls, the place where, awestruck explorer David Livingstone wrote in his journal “on sights as beautiful as this, must have been gazed upon by angels in their flight”. 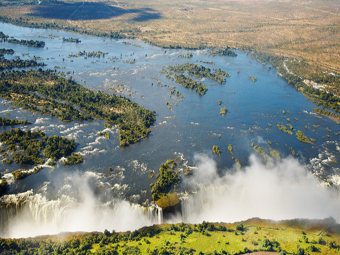 This classic adventure in Victoria Falls offers you the experience of a Zambezi sunset cruise, and of course a guided tour of the Victoria Falls. Journey to the southernmost tip of Africa to the enigmatic landscapes of South Africa, “a world in one country” South Africa boasts a large variety of different scenic eco systems bursting with vibrant colours, pulsating cultural energy and geological delights to inspire awe in any traveller. Fly to the premier national park, tracking the footprints of Africa’s Big Five in the bushveld of Kruger National Park before exploring the colourful sights of Cape Town, as you sip your way across award winning wine estates to Stellenbosch. Embark on a trip around its rugged Cape Peninsula and discover is historic coastal charms during a full day Peninsula tour. To top off your South African adventure, we take a cable car up Cape Towns, guardian Table Mountain to gaze down at a city nestled between sea and mountain of astounding beauty. Experience a unique land where two of the greatest ocean meet, big game roam just beyond the city lights and is home to a cultural melting pot of Africa’s smiling people. Summary: 3 nights in A’ Zambezi River Lodge, 4 nights at Mjejane River Lodge and 5 nights hotel or Luxury B&B in Stellenbosch & Cape Town. Flights with South African airlines or similar. 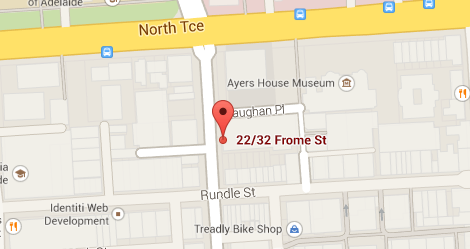 Depart Adelaide , fly to Johannesburg. Upon arrival in Johannesburg, you will take your connecting flight to Victoria Falls. On arrival at Victoria Falls airport, you will be met by a local representative who will arrange your transfers to your hotel A’Zambezi River Lodge. Located in Victoria Falls, Zimbabwe, 25 km from the airport, nestling on the banks of the might Zambezi River within the periphery of the Zambezi National Park. A Zambezi is the perfect retreat to relax and unwind in the quiet ambience of the African wild life and nature. Later the afternoon, enjoy a sundowner Zambezi River cruise which is a superb way to relax and enjoy the beauty of the River. 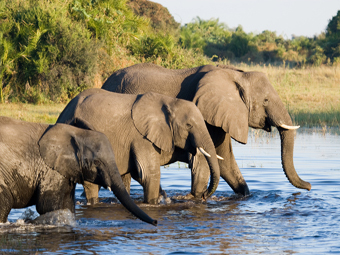 You will have the opportunity to see a variety of game, including elephants, hippo, crocodiles and different bird species. The rest of the evening is yours at leisure. Today, discover how the falls were formed and what local customs and traditions surround them with an in-depth tour of the falls. The tour is very informative and ends with a visit to the local art and crafts centre. The remainder of the day is at your leisure. Today is at leisure. Victoria Falls is a mecca for adventure, why not try your hand at Flying Fox and George Swing, Elephant back safari and interaction, zip lining or a unforgettable helicopter flight over the Falls (optional activities at own expense). Later that evening if you wish will be taken to an area called Gurus forest for a cultural Boma Dinner eating experience (on own account). This is not just another ethnic restaurant but a cultural experience. The excellent cuisine is accompanied by entertainment throughout your meal from traditional dancers and the Songoma (story teller). The highlight of the evening is the interactive dancing and drumming. After breakfast check out of the hotel. You will be transferred to Livingstone airport for your connecting flight to Nelspruit Airport, the airport for Kruger National Park. Upon arrival at Nelspruit, you will be met by a representative of your lodge and transferred to your luxury accommodation for the next four nights. After you have had time to relax after your flight, enjoy a drive to Crocodile River to watch the sun go down. Light snacks, soft drinks, local beer and wine is included to enjoy your first night in Africa. 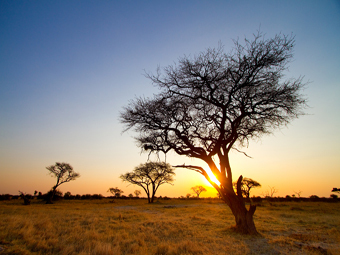 Today, start with an early morning game drive in the Kruger National Park. 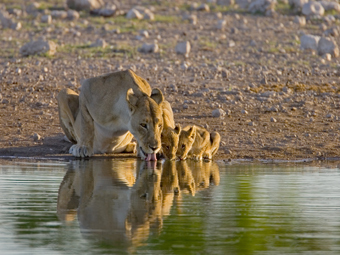 Ensure you bring your camera along as you will be spotting the BIG 5 in their natural environment. The abundance of species you will see will be an experience of a lifetime. Get up close to the animals in your specialised safari vehicle lead by an expert guide. The game drive is approximately 6-8 hours. Later this evening, enjoy a sumptuous 3 course dinner while swapping stories of your animal encounters earlier that day. Rise early again today for your second game drive in the Kruger National Park – you might spot animals you missed on the first game drive and encounter different experiences. Rise early again today for your third game drive in the Kruger National Park – you might spot animals you missed on the other game drive and encounter different experiences. After breakfast, you will be transferred to the nearby Nelspruit Airport for your flight to Cape Town. On arrival at Cape Town International Airport, you will be met by a local representative for your transfer to your hotel in Stellenbosch. Spend the rest of your day at leisure to explore this postcard city. After breakfast, you will be transferred to Franschoek for your Wine Tram Route excursion. A combination of tram and tram bus will transport you around a loop of 7 stops allowing you to experience the activities on offer, be it wine tasting, a cellar tour, lunch or simply just stroll through the vineyards. After the tour, you will be transferred back to your hotel. After breakfast, you will be transferred to your hotel in Cape Town. After your check in at the hotel, day at leisure. 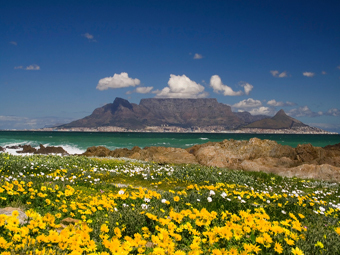 After an early morning breakfast, enjoy a full a day tour of the Cape Peninsula. The tour includes a trip to Cape Point at the southern western tip of the Cape Peninsula with the most spectacular views. The Cape Point Nature Reserve comprises of 17300 acres of indigenous fauna and flora. Here you can see wildlife that includes baboon’s, rhebok, Cape Mountain Zebra and the elusive eland. Bird watchers will also find many fine species to observe. Visit the Boulders Beach to visit the penguin colony (entrance for your own account) Before returning to your hotel, you will stop over at Kirstenbosch National Botanical Gardens for a short walking tour of the beautiful garden. Your day is at leisure in Cape Town with optional excursions. Morning transfer to Cape Town airport for your flight home. Clients ex Adelaide and Sydney will require a night in Singapore at an additional cost. Also known as Mosi-oa-Tunya (the smoke that thunders), this magnificent waterfall in southern Africa lies on the Zambezi River and forms a part of the border of Zambia and Zimbabwe. One of Africa’s largest National Park is not only home to the Big 5 but also is the home to a variety of mammals and birdlife. Mountains, bush plains and tropical forests are all part of this stunning landscape.